We all have our favorite dining spots, but I’m always open to trying something new. In fact, I’ve really been making an effort to go to restaurants that I’ve never been to before. 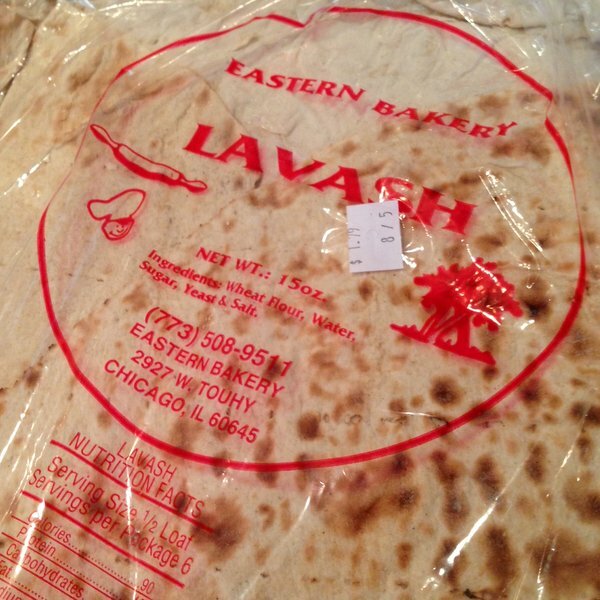 There are so many food establishments out there, especially in and around Chicago. 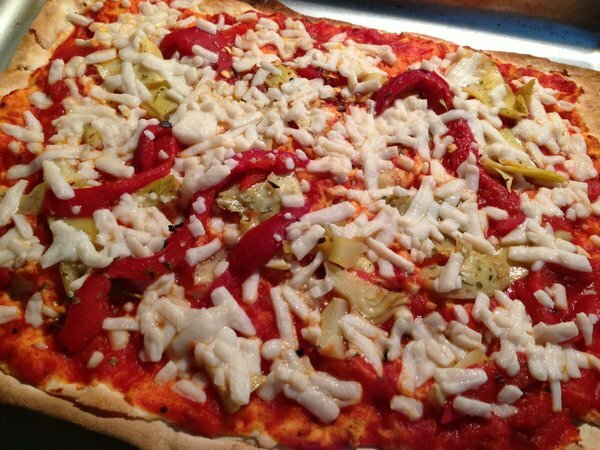 Of course, dining out can be difficult when you’re vegan. It can be difficult when you’re vegetarian! I still see menus that have zero vegetarian options. This was not the case at Karma, a Pan Asian restaurant located in Mundelein, which is about 35 miles northwest from Chicago. This was my first time at Karma. Karma has a really great vibe. It’s located within a suburban hotel. The restaurant itself is very contemporary without being pretentious. 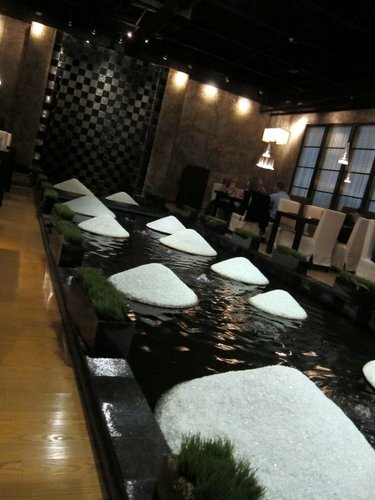 There’s a great fountain running along the middle of the restaurant. I dined with my sister, but all the other diners were clearly on dates, and there was one lone hotel guest having dinner by himself. 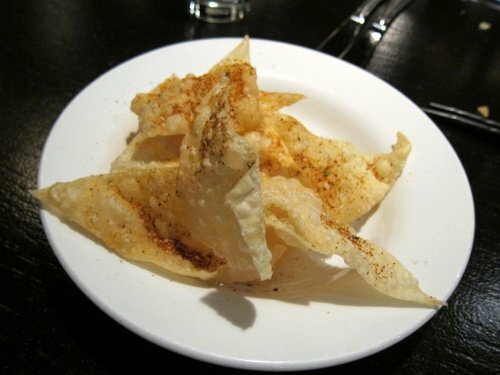 Upon sitting down, we were given a plate of fried wontons (pictured above) that were coated in a sauce with some sort of chili powder. These were really tasty and had a nice kick. 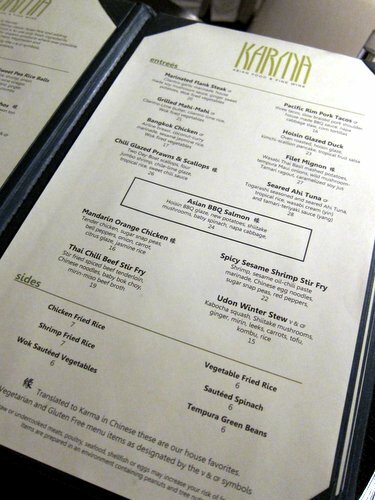 I was thrilled to see that they had a delicious-sounding vegetarian entree (and it sounds perfectly vegan-friendly). More on that later. We decided to order an appetizer. There were other vegetarian options, but I definitely wanted to try the shiitake pot stickers. The mushrooms were blended with ginger, garlic, scallions, and sesame oil and came with a soy dipping sauce and some other mystery sauce. These were so freaking delicious! Not only was the mushroom filling super tasty, they were stuffed really well and had a great texture. I could have easily eaten 4 plates of this. I decided to go with the Udon Winter Stew for my entree. 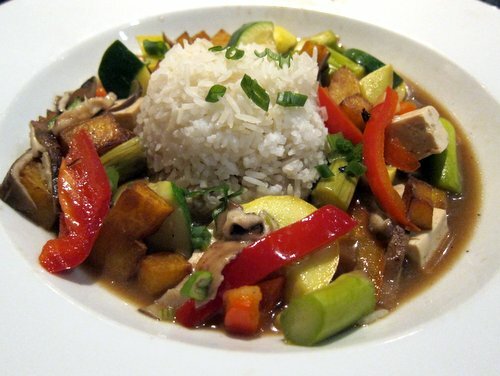 The dish was made up of Kabocha squash, Shiitake mushrooms, ginger, mirin, leeks, carrots, tofu, kombu, and rice. The veggies were fresh and I was especially in love with the squash. I won’t say I was disappointed, but I had to ask for soy sauce to add some flavor. 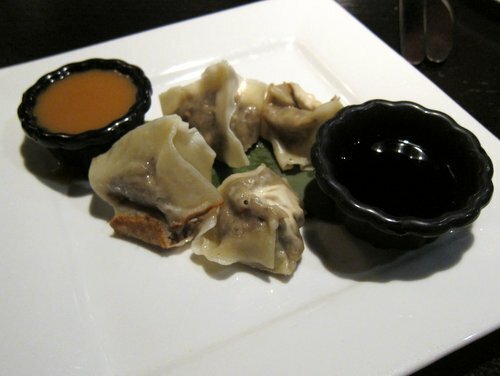 It was a good dish, but a tiny bit of a let down after eating the flavorful pot stickers. We were lucky enough to have pleasant weather for the first couple weeks of October, but things got downright chilly last week. Dad started cleaning up the garden and collected the last of the veggies. 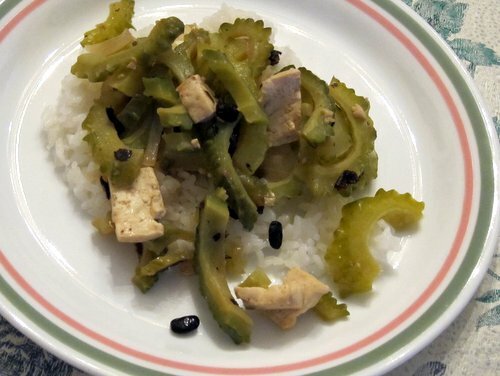 Bitter melon, or ampalaya, was included in the mix, and Mom cooked it up, vegan-style! 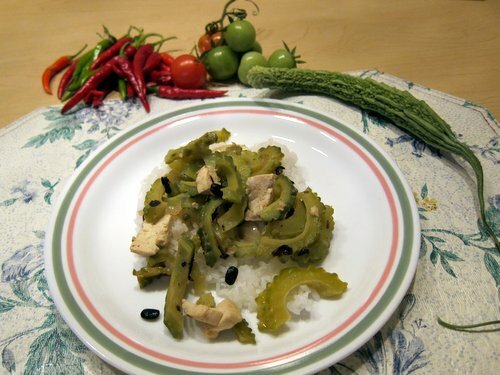 We have blogged about bitter melon before, and here’s another recipe for the adventurous among us. My mom usually makes this dish using steak or roast beef, but decided to substitute tofu instead. Yay! The tofu helped to offset some of the bitterness and the fermented black beans bring both a sweetness and saltiness to the dish. 1. Slice the bitter melon in half, lengthwise, and scoop out the innards. Then, slice the halves into about 1/4 inch pieces. 2. Heat up a pan and add your favorite vegetable oil (I like safflower or canola). 3. Throw in the onion and garlic and cook until they’re fragrant and the onion is translucent. 4. Toss in the bitter melon, lower heat, and cover. Let it cook for 2-3 minutes, checking to make sure that the bitter melon doesn’t stick. 5. Add the tofu and beans to the pot. Gently mix everything together. Allow it to cook, covered, for another 5 minutes or so. 6. 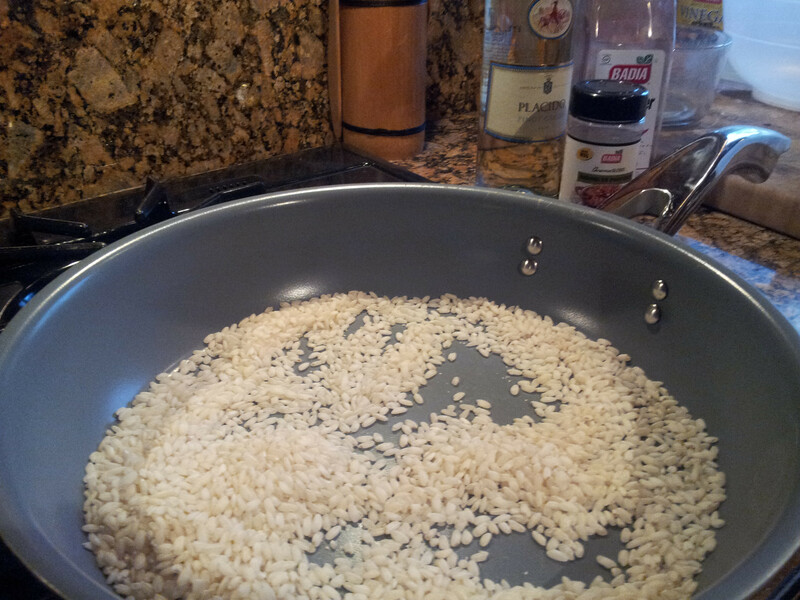 Add some salt or soy sauce to taste and remove from heat. This dish is best served with jasmine rice or brown rice. Hello, Veganesers! It’s been quite some time since we have posted anything and, for that, we apologize. The good news is that life is happening! The bad news (for me, anyway) is that vegan relapses happen. I haven’t gone completely to the dark side — I’ve kept away from meat — but cheese and seafood had lured their way back into my mouth. Damn you, dairy cheese!!! I could give a whole list of reasons for why I’ve not kept up so well with my vegan diet lately, but they really all boil down to two things: I’ve been lazy and I’ve been greedy about what I eat. What I need to do is remember why I ever decided to be vegan in the first place. And one of those reasons is that some of my favorite “junk” foods are vegan! 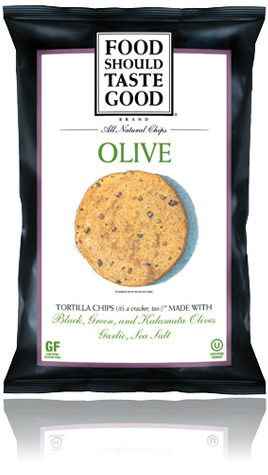 Are your chips certified vegan? 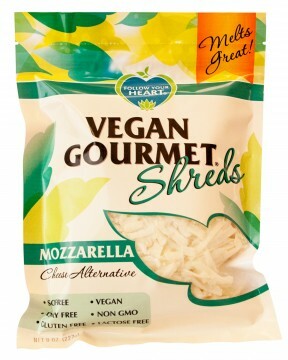 Most of our products are certified vegan by Vegan Action, with the exception of: Cheddar, White Cheddar, Chocolate and Jalapeño with Cheddar Tortilla Chips. I’m hoping to have a lot more to share with you guys in the coming weeks. Along with talking about getting back on the vegan horse, I plan to blog about more products I love, adventures in dining out, weird vegan stuff I picked up at the Vietnamese market (vegan smoked tuna! ), and, of course, new recipes. Stay tuned! Sophie’s Kitchen has been making assorted vegan versions of beloved seafood for a while now when I noticed their vegan smoked salmon. 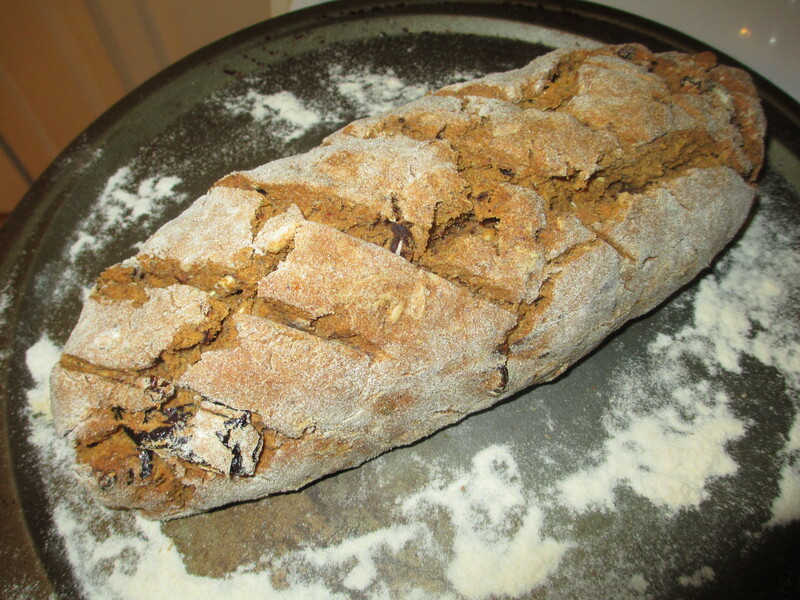 We tried it with Tofutti cream cheese and some home-made teff bread (a new house favorite; the recipe is a work in progress) and the flavor was there. It isn’t smoked salmon but it was smoky, salty, oily and fishy. The texture wasn’t what I expected; the konjac fiber dominated but wasn’t offensive. The ingredients were unobjectionable but highly processed. As far as vegan comfort food goes, it didn’t wow me, but I think it’s worth a try for the rest of you out there. I don’t think it will convince most carnists, but was a welcome change from regular Tofutti cream cheese on toast. Let me know what you think. 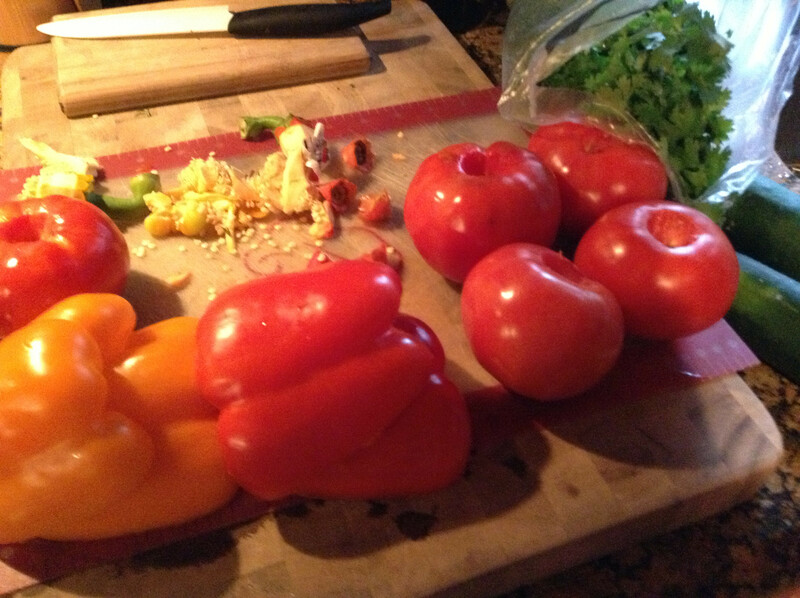 Brent cut up the vegetables into sizes that fit easily in our food processor. 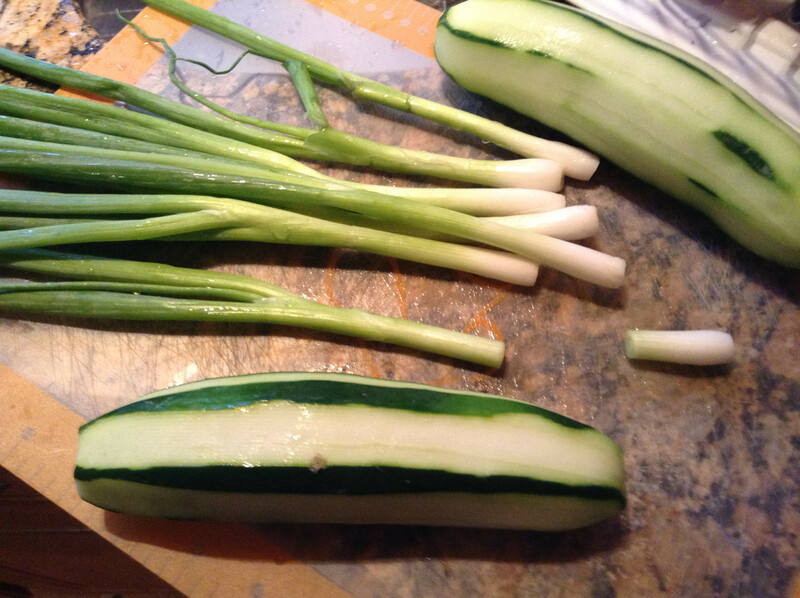 The skins can be left on the cucumber for a richer flavor if they’re organic, otherwise I remove most of it if not all. The tomato, cucumber, peppers, strawberries, lemon juice, scallion bulbs and cilantro stems all went into the processor and was blended until smooth. 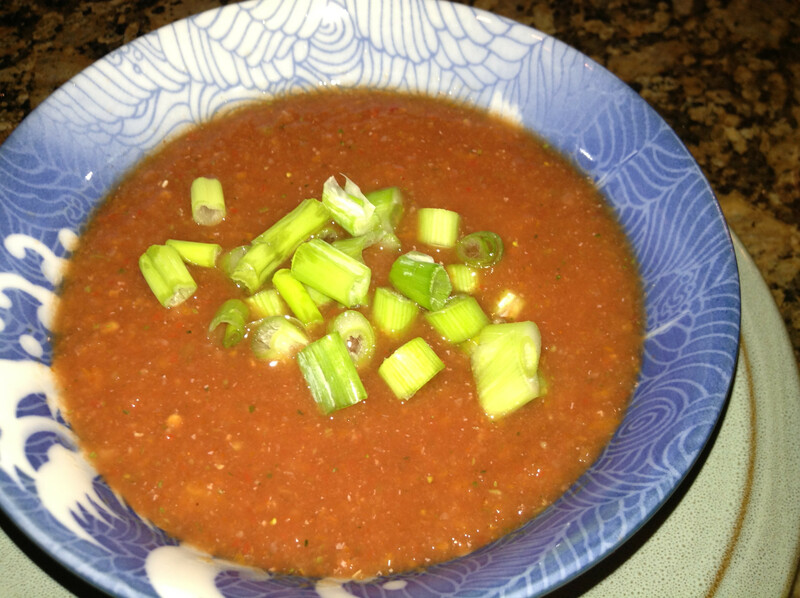 Afterward I added salt and hot sauce to taste, garnished with scallion onion (you can use cilantro too, if you like). and served with grilled cashew cheese sammiches. It hit the spot after a day in the muggy Florida heat. Let me know what you think! 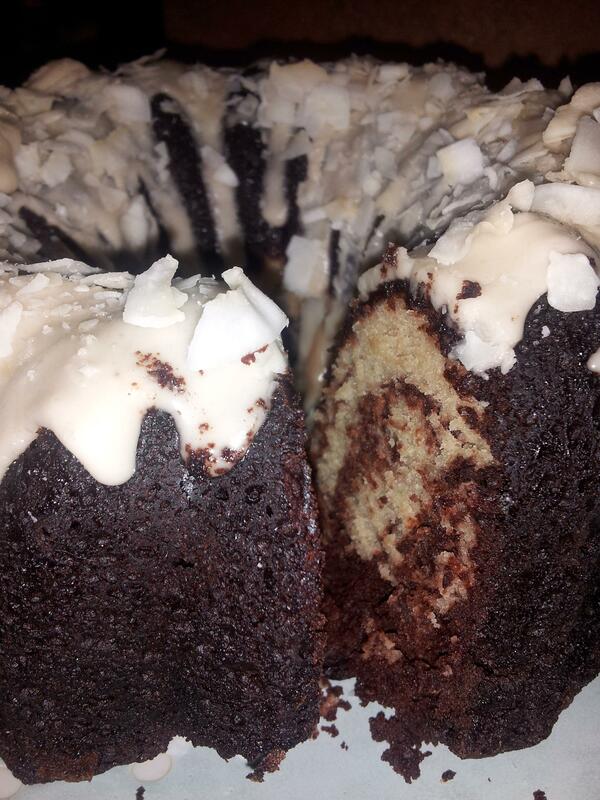 My personal favorite birthday cake is chocolate and vanilla marble cake with coconut frosting. Being gluten-free and vegan makes this an adventure. We tried Wholesome Chow’s vanilla cake mix, chocolate cake mix (both prepared with vegetable oil and soy milk) and their vanilla frosting mix prepared according to their glaze instructions. with 1/4 tsp coconut extract and some flake coconut sprinkled over the top. We baked it according to the instructions but had to bake it for an additional 30 minutes before it became firm. Not a problem, if you ask me. I brought it to a gathering with some omnivore/carnist friends and it disappeared. 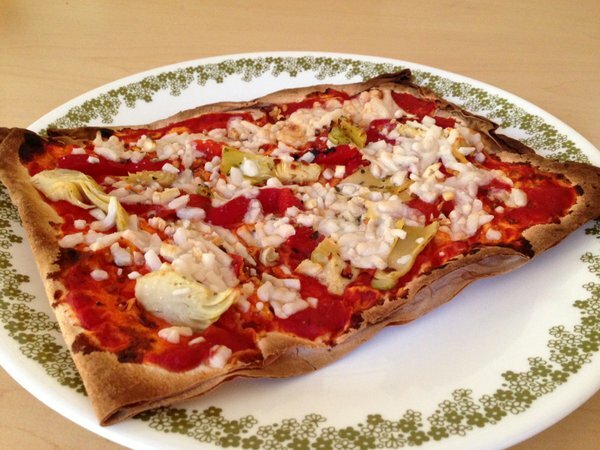 For how easy it was to make and how delicious, I’d recommend it to anyone out there. Also, belated blog happy birthday to co-author Melissa! I admit I’ve been delinquent in my duties as a blogger. We had to move (our former land lady disagreed with us on an appropriate time frame for air conditioner repair in Florida in the summer). I can’t find my camera, but that’s no excuse. I’ve got a phone. Brent is pretty awesome and cooks for both of us when I’m too exhausted from work or moving or all the bologna that goes with all of that, so I wanted to treat him for being so proactive in the kitchen with some comfort food. I started by making some creamy cashew cheese. I blended this up until it was creamy and put it into the fridge until I was ready to make my risotto. We ate a lot of it with crackers. Oopsie! To make the risotto I assembled the following additional ingredients. I started by microwaving the bouillon and water, stirring to dissolve the bouillon cube. I then put the rice into my pan with the wine and herbes de provence over low heat until the wine cooked off and some of the liquid was absorbed. 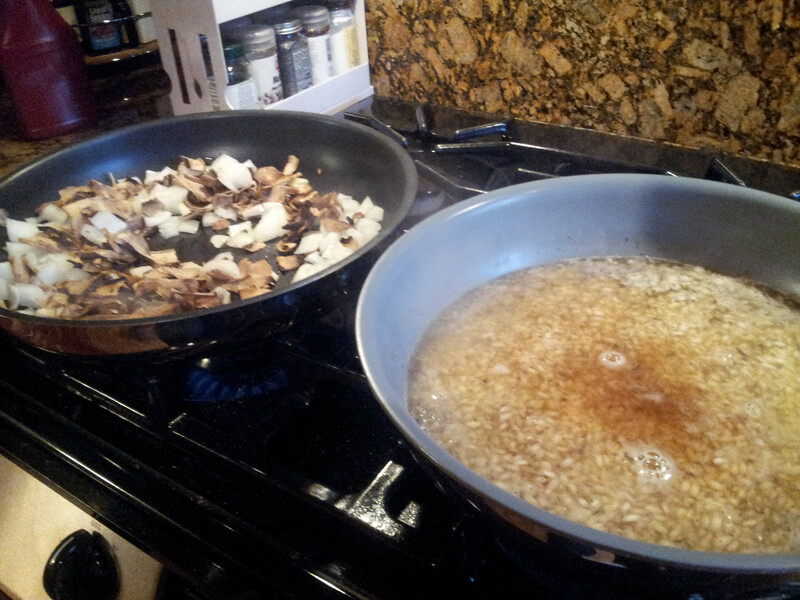 I continued to add the broth while I started to sautee the onion in the olive oil. 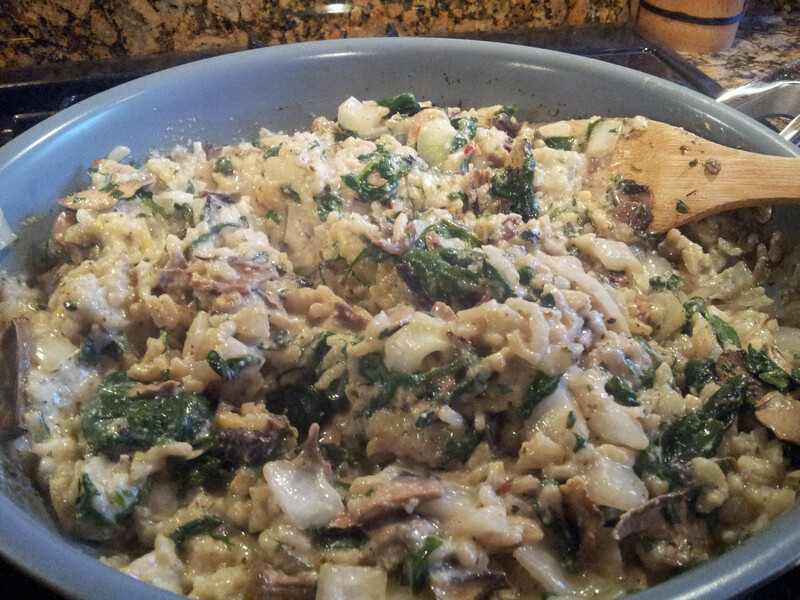 After the onion was soft I added the mushrooms. Once they started to soften, I added the spinach and turned off the heat once it was wilted. Once the rice had absorbed most of the broth and was mostly translucent except for a little opaque bit in the middle of the rice grain, I added the nutritional yeast, garlic paste and then combined that with the sauteed vegetables. Then I stirred in 1/2 cup of my cashew cheese and adjusted the salt and pepper to taste. Hey, guess what… it’s ready. The addition of cashew cheese makes this dish more reminiscent of the cheesy delightful artery clogging dairy rich dish but it’s way better for you and super ultra mega tasty. Gluten-Free Vegan Pumpkin, Sundried Tomato Bread! I’ve been working on my baking with encouragement and inspiration from Somer at VegedOut and Annie of An Unrefined Vegan. These two ladies are ace bakers and manage to survive without eggs, milk and sometimes even wheat. Pastries are a little easier since lower protein flours have a good texture for cakes and cookies, but not bread. Bread is the one thing we can’t reliably get that’s gluten-free, vegan and tasty. Usually commercially available breads fit one or two of those three criteria. Therein lies my quest. My early attempts at gluten-free vegan bread were unreliable and didn’t always rise properly so things have come up a few notches since then. 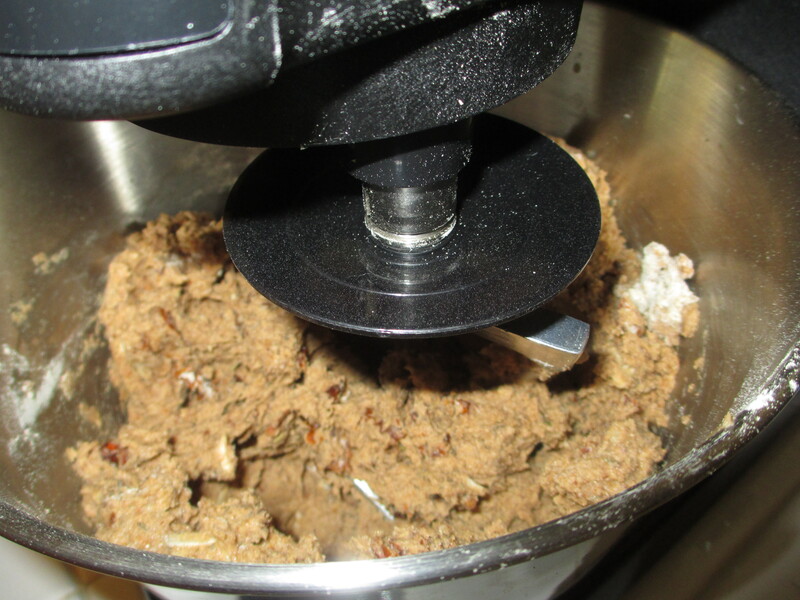 One of the big things was getting a stand mixer with a dough hook. I can knead bread myself, but this makes mixing much more consistent. 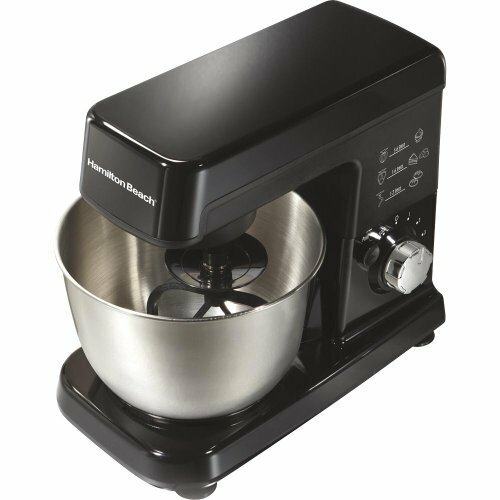 I got a cheap used $55 3.5 quart stand mixer. I’ll probably get something nicer when this one goes, but for now it’s perfect for experimenting. The biggest issues I find with gluten-free vegan bread is that it’s usually dry, crumbly and/or dense. I’m still struggling with these issues, but things are improving slowly but surely. My ever evolving bread recipe is currently as follows. Preheat the oven to 300F/150C. 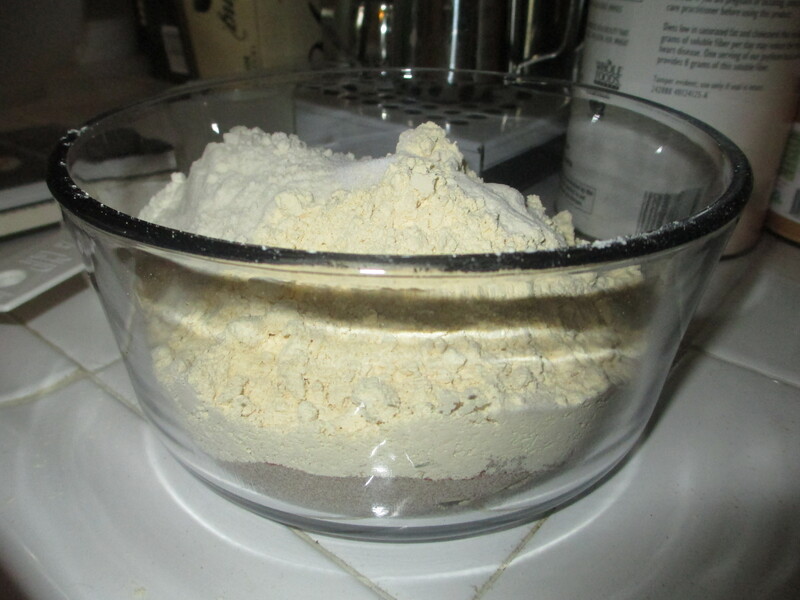 I combine the dry ingredients (except for the yeast in a bowl. Mix them lightly. I combine the water (warmed) and dissolve the yeast in it and then put that and the rest of the wet ingredients including the pumpkin in the bowl of my trusty stand mixer and give it a quick mix on the lowest setting. Then I wait for 3-5 minutes until the yeast starts to activate and look bubbly. I slash the top of the loaf to allow some of the steam to escape. When I tried skipping that step I ended up with a loaf of bread that looks like it exploded in the oven. I baked this for 2 hours and then started checking every 5 minutes to see if it was cooked all the way through by checking to see if a knife inserted into the middle of the loaf came out clean. 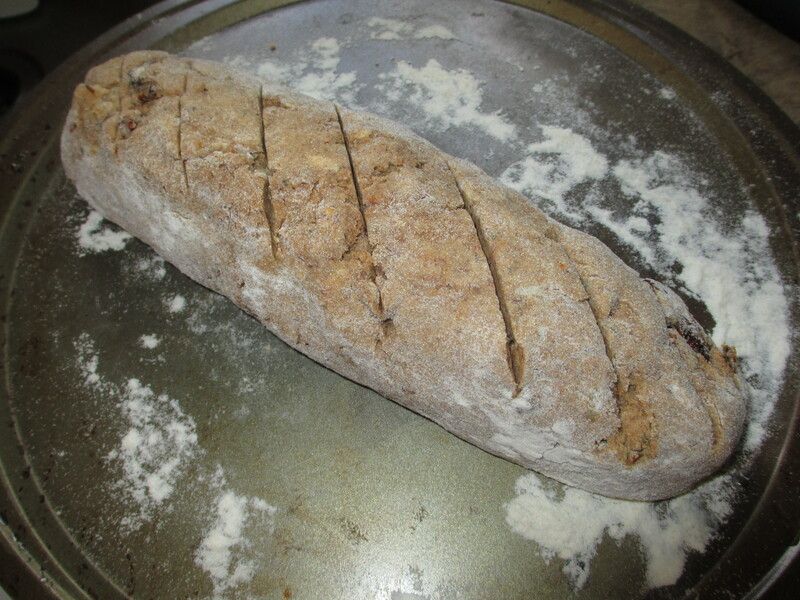 This bread is still a little dense, but the flavor and texture are getting there fast. 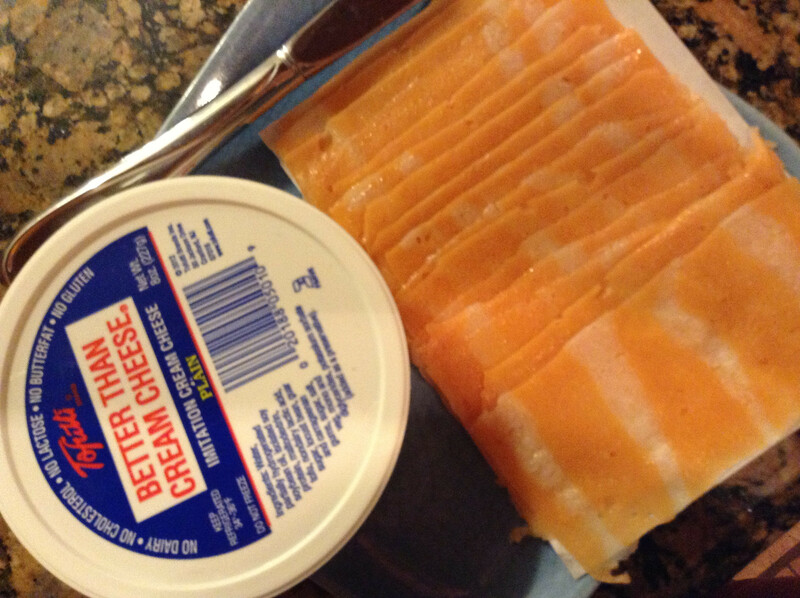 We’ve been enjoying it for simple things like grilled ‘cheese’ or toast with jam or vegan cream cheese.